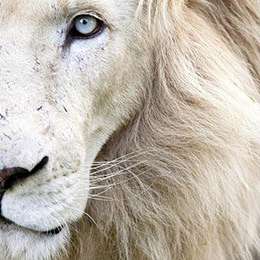 Full Frame Close Up Portrait of a Male White Lion with Blue Eyes. South Africa. Louisiana Heron from "Birds of America"